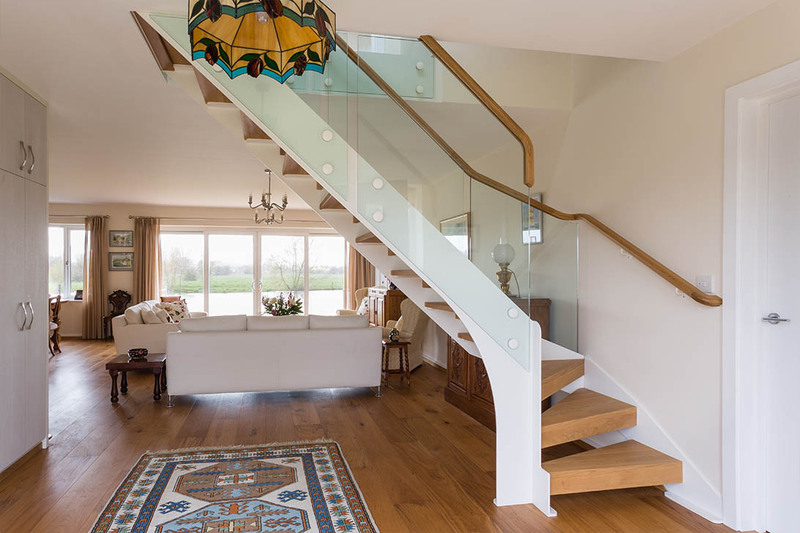 The Bowden family from South Africa, built their perfect retirement home right on the Thames in beautiful Chertsey and planned a completely open plan downstairs living space. 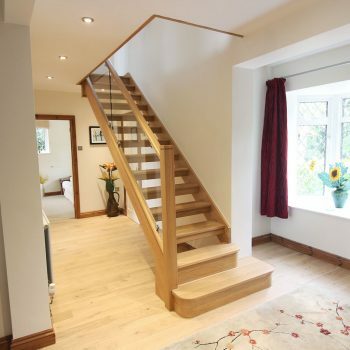 From entering the front door the architect planned a closed entrance hallway, but this would disrupt the flow and feel of space in the building… We met with Mr Bowden to change this with a detailed masterpiece for the family. 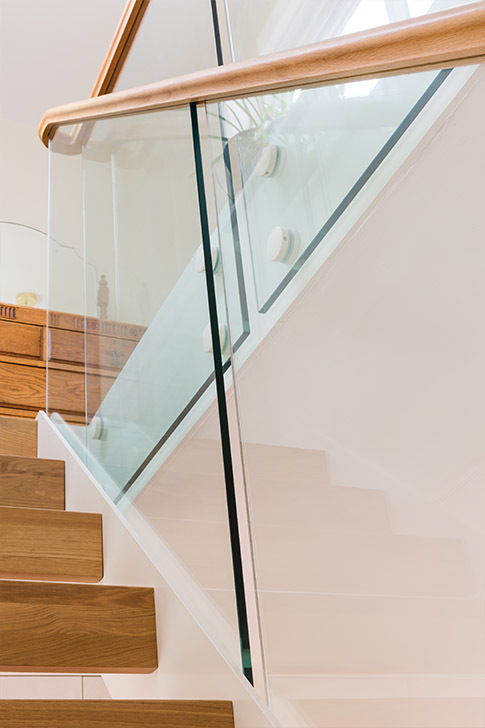 A completely open staircase on both sides allows the staircase to feel so spacious, even though this is one of the smallest widths staircases we have produced… you would never be able to tell. 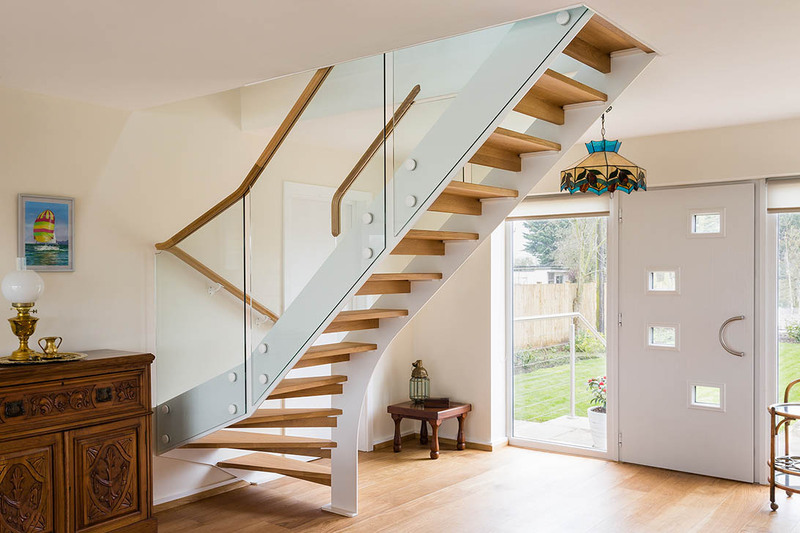 Merged with an open riser design, every angle of the staircase can be enjoyed without the need of covering any element or fixing. 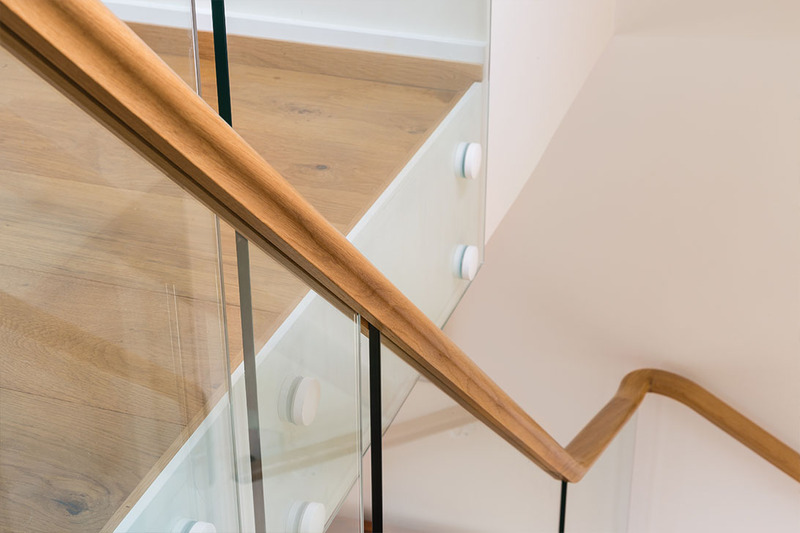 The warmth of our 100-year-old oak treads, finished with an anti-slip lacquer provide the comfort and sense of security that all staircases require. 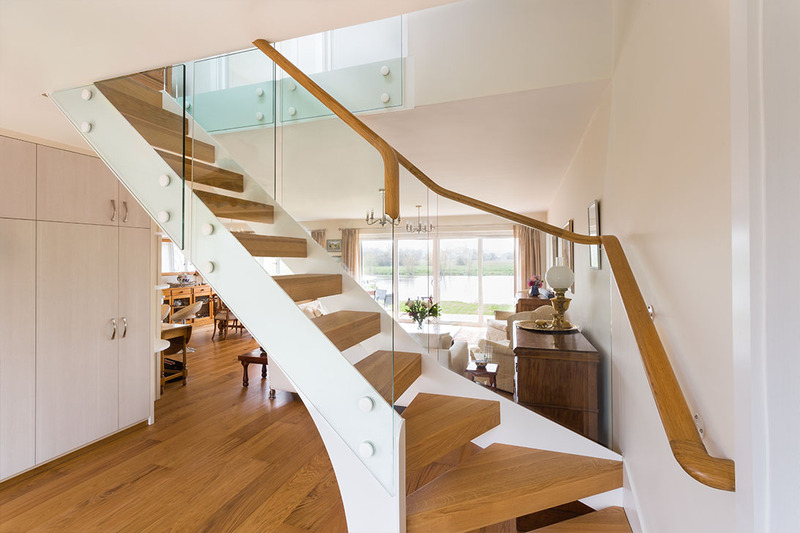 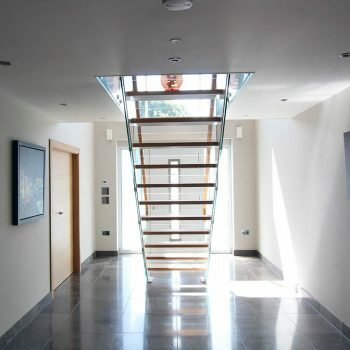 To really make a statement Mr Bowden had a vision of continuously curved elements to his staircase, making the journey when using the staircase that much more enjoyable. 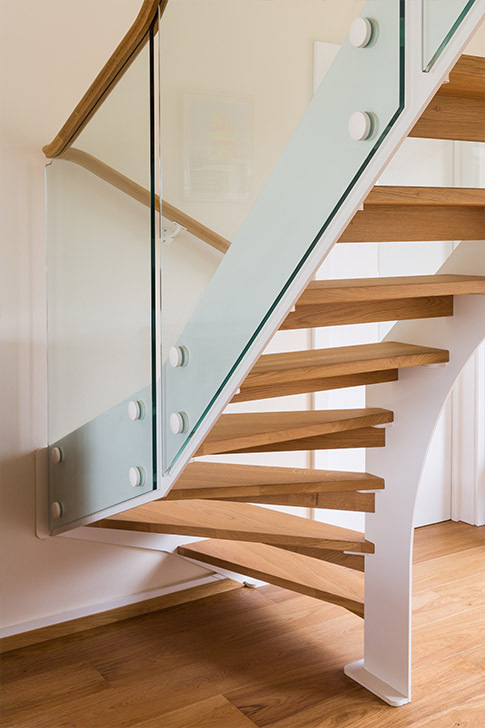 No sharp edges, no quick corners, just a fluid journey with one of our favourite styles of staircase. 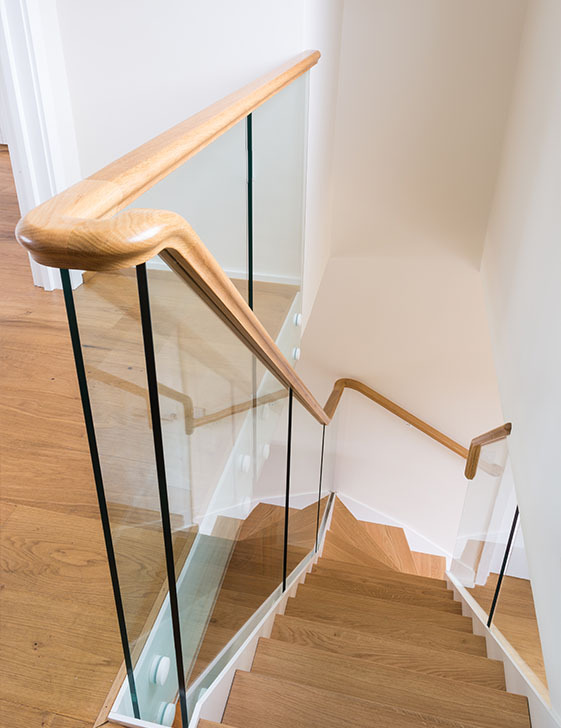 Made as a bespoke rail to suit the one of a kind staircase, all curved elements are manufactured from huge blocks of solid oak to match all other elements of this wonderful staircase.